European exploration of and expansion into North America was facilitated by three important elements: beef bouillon, sauerkraut and melody (or Protein, Vitamin C and Soul Food, respectively.) The first two are now ‘fodder’ for Oxbridge dons, but the latter has been lovingly recreated by the Press Gang for Everyman’s enjoyment on A Chesapeake Sailor’s Companion. 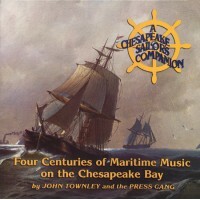 As the sub-heading suggests, this new CD release offers “Four Centuries of Maritime Music on the Chesapeake Bay.” From favorites composed during the reigns of Elizabeth and James I, when tobacco was king, to Tin Pan Alley numbers of the early 20th Century, when hydraulics began to replace muscle, this Sailor’s Companion charts the history of an important musical journey. 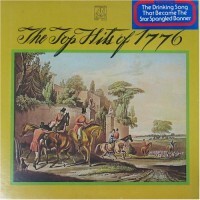 Like this nation, the songs begin an ocean away from England to Africa and are transformed by commerce, technology and social change into something uniquely American. A meticulous researcher with musical skills to match, John Townley leads the Press Gang—a group of friends and fellow musicians who were ‘shanghaied’ into a recording studio for these sessions. Among their number are cellist Anne Waple, pianist Blanton Bradley and grand champion Scots fiddler John Turner. Townley’s enlightening liner notes are accompanied by vintage maritime illustrations to complete this delightful package. This release is part of the Maritime Music International Series.